“Her scholarship is recognized globally in areas of particular strength and importance” for Texas A&M, says provost. Dr. Debbie Thomas, dean of the Texas A&M College of Geosciences. Texas A&M University President Dr. Michael K. Young and Texas A&M Provost and Executive Vice President Dr. Carol A. Fierke have announced that Dr. Debbie Thomas has been appointed as the dean of the Texas A&M College of Geosciences. Her appointment has been confirmed by The Texas A&M University System and became effective Jan. 14, 2019. Thomas received her master’s degree in marine sciences and her doctoral degree in geological sciences from the University of North Carolina. Her undergraduate degree is in geological sciences from Brown University. She joined Texas A&M University in 2004 as an assistant professor and currently holds the rank of professor in the Department of Oceanography. Thomas specializes in the field of paleoceanography and was instrumental in establishing the R. Ken Williams ’45 Radiogenic Isotope Geosciences Laboratory. She studies the chemical composition of marine sediments to reconstruct past climate with a particular interest in the climate dynamics of globally warm periods of time in earth’s history. Her work relies on sea floor samples collected through the International Ocean Discovery Program (IODP). She has led international research teams through the IODP and successfully proposed IODP Expedition 378, which will recover cores from portions of the South Pacific not yet explored through scientific ocean drilling. Dr. Thomas was named co-chief of the expedition, now scheduled to sail in early 2020. Texas A&M University and the College of Geosciences serve as the operator of the JOIDES Resolution drill ship in service of IODP, and this award represents the single largest continuous grant to Texas A&M University from National Science Foundation, totaling more than $2 billion in competitive grant awards since 1983. Thomas’ honors include being named a Montague Center for Teaching Excellence Scholar and receiving the college-level Distinguished Achievement Award for Teaching from the Texas A&M Association of Former Students. She was the keynote speaker for the Shell Science Seminar at the National Science Teachers Association’s national conference and delivered the keynote address at a Texas A&M University Freshman Convocation. 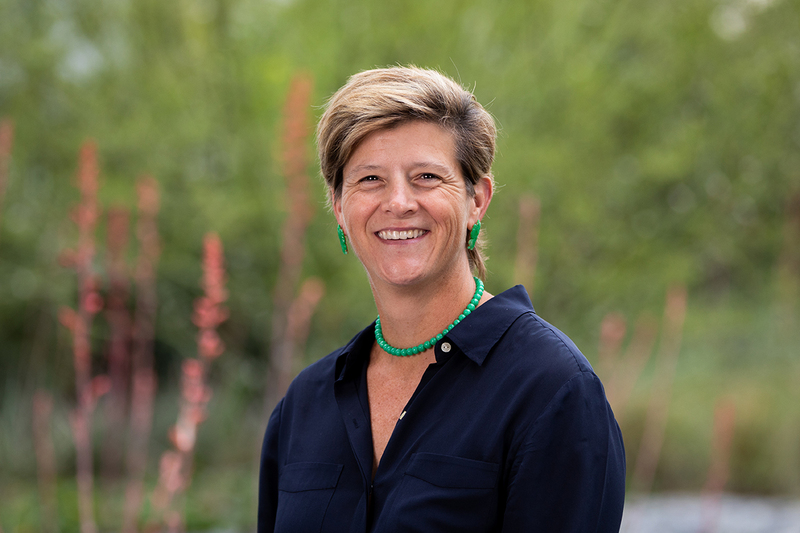 She has also been named a distinguished lecturer for the Consortium for Ocean Leadership. Thomas has served as interim dean of the College of Geosciences since 2016 and was previously head of the Department of Oceanography (2013 – 2016). Please join us in congratulating Dr. Debbie Thomas on her appointment as Dean of the College of Geosciences.